Constructed from the highest quality No.10 heavyweight 100% cotton canvas black dogi. 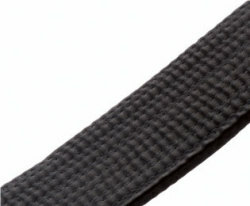 For the karate master who prefers a heavy gi for advanced technical demonstrations. I have to admit that after many heavyweight Gi that I bought in the past, none compared to the Tokyodo Int. 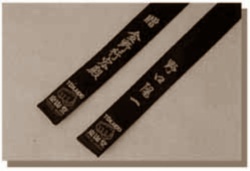 KB-10 Heavyweight Black Gi I ordered from Kuroobiya. This is the first time that I have ordered from them and I must admit that I was skeptical to purchased online from an international vendor, but I am glad I did. Hamid responded to my email and explained the whole process and the average time I should expect my Gi. I ordered t on Feb 26 and I received it by Mar 19, just a few days after my birthday. I tried it on and it is perfect to what I need, i ordered it a little bigger to account for shrinkage but overall is not much larger than my measurements. The feel of this Gi is amazing and the embroidery is superb. 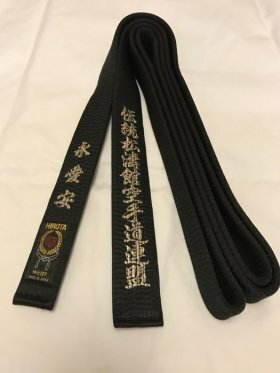 I will, from now on, make all my Gi purchases from Kuroobiya and I will recommend it to anyone who trains in martial arts and are looking for a quality made Gi. Thank Hamid!